Department of Physics & Astronomy, University of Sheffield, Sheffield, S3 7RH, United Kingdom. Citation: Quantum 2, 56 (2018). Earl T Campbell, Barbara M Terhal, and Christophe Vuillot. Roads towards fault-tolerant universal quantum computation. Nature, 549 (7671): 172, 2017. 10.1038/​nature23460. Adam M. Meier, Bryan Eastin, and Emanuel Knill. Magic-state distillation with the four-qubit code. Quant. Inf. and Comp., 13: 195, 2013. Sergey Bravyi and Jeongwan Haah. Magic-state distillation with low overhead. Phys. Rev. A, 86: 052329, Nov 2012. 10.1103/​PhysRevA.86.052329. Cody Jones. Multilevel distillation of magic states for quantum computing. Phys. Rev. A, 87: 042305, Apr 2013a. 10.1103/​PhysRevA.87.042305. Jeongwan Haah, Matthew B. Hastings, D. Poulin, and D. Wecker. Magic state distillation with low space overhead and optimal asymptotic input count. Quantum, 1: 31, October 2017. ISSN 2521-327X. 10.22331/​q-2017-10-03-31. Vadym Kliuchnikov, Dmitri Maslov, and Michele Mosca. Asymptotically optimal approximation of single qubit unitaries by clifford and $t$ circuits using a constant number of ancillary qubits. Phys. Rev. Lett., 110: 190502, May 2013. 10.1103/​PhysRevLett.110.190502. David Gosset, Vadym Kliuchnikov, Michele Mosca, and Vincent Russo. An algorithm for the t-count. Quant. Inf. & Comp., 14 (15-16): 1261-1276, 2014. Neil J Ross and Peter Selinger. Optimal ancilla-free clifford+ t approximation of z-rotations. Quant. Inf. and Comp., 16: 901, 2016. Adam Paetznick and Krysta M Svore. Repeat-until-success: Non-deterministic decomposition of single-qubit unitaries. Quant. Inf. & Comp., 14 (15-16): 1277-1301, 2014. Alex Bocharov, Martin Roetteler, and Krysta M. Svore. Efficient synthesis of probabilistic quantum circuits with fallback. Phys. Rev. A, 91: 052317, May 2015. 10.1103/​PhysRevA.91.052317. Andrew J Landahl and Chris Cesare. Complex instruction set computing architecture for performing accurate quantum $ z $ rotations with less magic. arXiv preprint arXiv:1302.3240, 2013. URL https:/​/​arxiv.org/​pdf/​1302.3240.pdf. Cody Jones. Distillation protocols for fourier states in quantum computing. arXiv preprint arXiv:1303.3066, 2013b. URL https:/​/​arxiv.org/​pdf/​1303.3066.pdf. Guillaume Duclos-Cianci and David Poulin. Reducing the quantum-computing overhead with complex gate distillation. Phys. Rev. A, 91: 042315, Apr 2015. 10.1103/​PhysRevA.91.042315. Earl T Campbell and Joe O'Gorman. An efficient magic state approach to small angle rotations. Quantum Science and Technology, 1 (1): 015007, 2016. doi:10.1088/​2058-9565/​1/​1/​015007. Jeongwan Haah. Towers of generalized divisible quantum codes. arXiv preprint arXiv:1709.08658, 2017. URL https:/​/​arxiv.org/​pdf/​1709.08658.pdf. Cody Jones. Low-overhead constructions for the fault-tolerant toffoli gate. Phys. Rev. A, 87: 022328, Feb 2013c. 10.1103/​PhysRevA.87.022328. Bryan Eastin. Distilling one-qubit magic states into toffoli states. Phys. Rev. A, 87: 032321, Mar 2013. 10.1103/​PhysRevA.87.032321. Earl T. Campbell and Mark Howard. Unifying gate synthesis and magic state distillation. Phys. Rev. Lett., 118: 060501, Feb 2017a. 10.1103/​PhysRevLett.118.060501. Earl T. Campbell and Mark Howard. Unified framework for magic state distillation and multiqubit gate synthesis with reduced resource cost. Phys. Rev. A, 95: 022316, Feb 2017b. 10.1103/​PhysRevA.95.022316. Jeongwan Haah, Matthew B Hastings, D Poulin, and D Wecker. Magic state distillation at intermediate size. Quant. Inf. and Comp., 18: 0114, 2018. Matthew B. Hastings and Jeongwan Haah. Distillation with sublogarithmic overhead. Phys. Rev. Lett., 120: 050504, Jan 2018. 10.1103/​PhysRevLett.120.050504. Daniel Gottesman and Isaac L. Chuang. Demonstrating the viability of universal quantum computation using teleportation and single-qubit operations. Nature, 402: 390, 1999. 10.1038/​46503. Earl T. Campbell and Dan E. Browne. On the structure of protocols for magic state distillation. Lecture Notes in Computer Science, 5906: 20, 2009. 10.1007/​978-3-642-10698-9_3. arXiv:0908.0838. R. Raussendorf, J. Harrington, and K. Goyal. 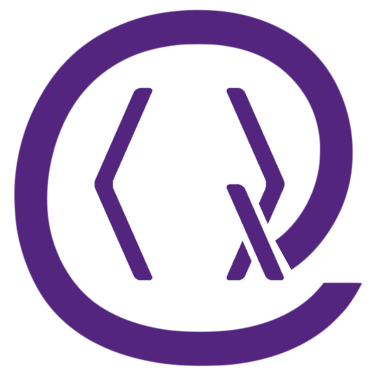 A fault-tolerant one-way quantum computer. Annals of Physics, 321 (9): 2242 - 2270, 2006. ISSN 0003-4916. 10.1016/​j.aop.2006.01.012. Austin G. Fowler, Matteo Mariantoni, John M. Martinis, and Andrew N. Cleland. Surface codes: Towards practical large-scale quantum computation. Phys. Rev. A, 86: 032324, Sep 2012. 10.1103/​PhysRevA.86.032324. Joe O'Gorman and Earl T. Campbell. Quantum computation with realistic magic-state factories. Phys. Rev. A, 95: 032338, Mar 2017. 10.1103/​PhysRevA.95.032338. Jeongwan Haah and Matthew B Hastings. Codes and protocols for distilling $ t $, controlled-$ s $, and toffoli gates. arXiv preprint arXiv:1709.02832, 2017. URL https:/​/​arxiv.org/​pdf/​1709.02832.pdf. James R. Seddon and Earl Campbell, "Quantifying magic for multi-qubit operations", arXiv:1901.03322 (2019). Jeongwan Haah, "Towers of generalized divisible quantum codes", Physical Review A 97 4, 042327 (2018). Xin Wang, Mark M. Wilde, and Yuan Su, "Efficiently computable bounds for magic state distillation", arXiv:1812.10145 (2018). Xin Wang, Mark M. Wilde, and Yuan Su, "Quantifying the magic of quantum channels", arXiv:1903.04483 (2019). The above citations are from Crossref's cited-by service (last updated 2019-04-25 17:09:37) and SAO/NASA ADS (last updated 2019-04-25 17:09:36). The list may be incomplete as not all publishers provide suitable and complete citation data.